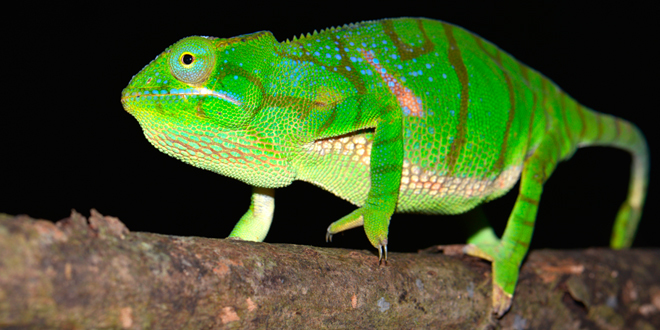 Madagascar is the reptile paradise per se and especially known for its chameleons. 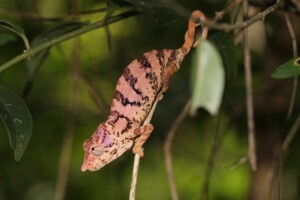 88 of all 211 up to date described chameleon species only occur in Madagascar. They seem to be fabulous creatures with their strange tongue, the independently from eacht other movable eyes and feet and hands transformed into grapsing forceps. Unfortunately, those beautiful animals aren’t very popular with Malagasy people, but they normally aren’t touched and therefore not killed. 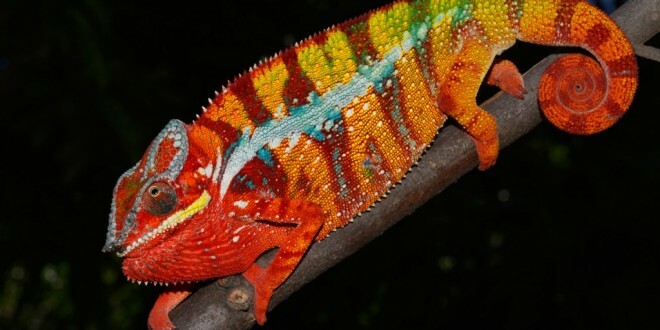 The panther chameleon (Furcifer pardalis), which is distributed around the upper half of the island, is known for its different, colourful local variancies. But also the biggest chameleons of the Earth, the Parson’s chameleon (Calumma parsonii) or the Malagasy giant chameleon (Furcifer oustaleti) with lengths up to 70 cm are cherished photo motifs for travellers. 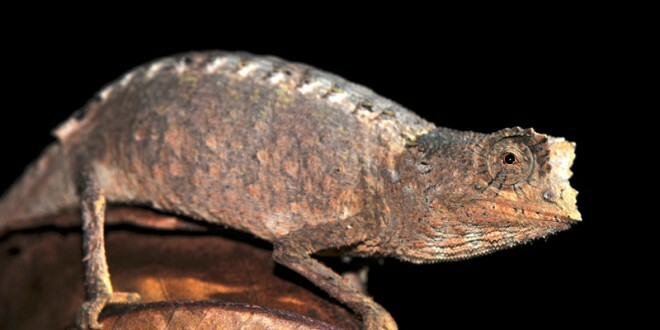 The smallest chameleon and smallest reptile on Earth, Brookesia micra (the name says it all) with no more than 16 mm total length, lives naturally in Madagascar, too, with all its only few bigger relatives. It can be rather challenging to find these dwards between shrubbery and leaves. 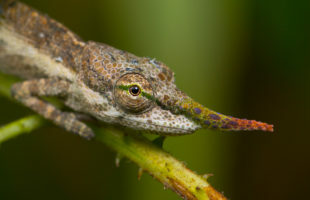 If you want to find rarer species like Furcifer belalandaensis or Calumma gallus, you have to bring good guides, who really know the preferred habitat of these animals – and even those have to look for the chameleons for hours sometimes. 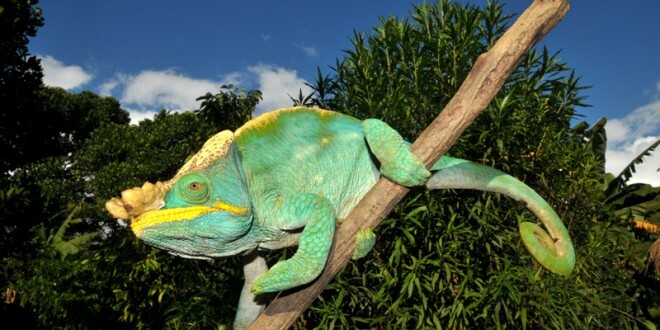 Other popular reptiles of Madagascar are tortoises, whereas four species are endemic to the island. The most common quadrupped shell wearing animal is the radiated tortoise (Astrochelys radiata), more seldom you can find only in certain areas the spider tortoise (Pyxis arachnoides) or the flat shelled spider tortoise (Pyxis planicauda). 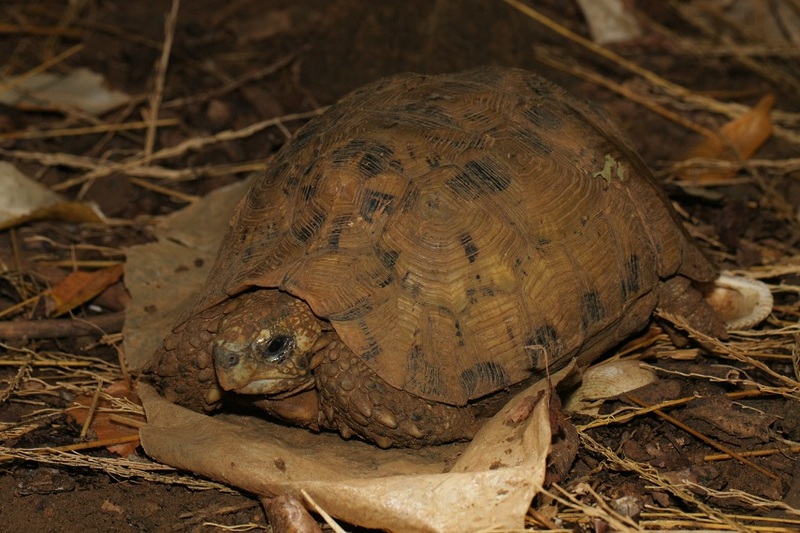 One of the rarest tortoises wordlwide, the brightly shelled, long-legged Angonoka tortoise (Astrochelys yniphora), has found its home in Madagascar, too. Scientists assume that there are not more than 200 individuals left of this beautiful, maximally 45 cm big animals. Near Ankarafantsika, there’s a breeding and protection center for this and other unique tortoises. 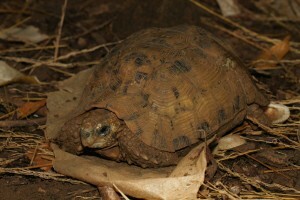 Bell’s hinged tortoise (Kinixys zombensis domerguei), which you can meet from time to time at the islands in the North (Nosy Be, Nosy Faly), was probably introduced by humans. Around and in Madagascar, there live of course also turtles, the biggest one of theme is the Madagascar big-headed turtle (Erymnochelys madagascariensis) . Famous among divers and globetrotters may be marine turtles, of which Madagascar has the Green Sea turtle (Chelonia mydas) as well as the Loggerhead sea turtle (Caretta caretta) and the biggest marine turtle alive, the Leatherback turtle (Dermochelys coriace). 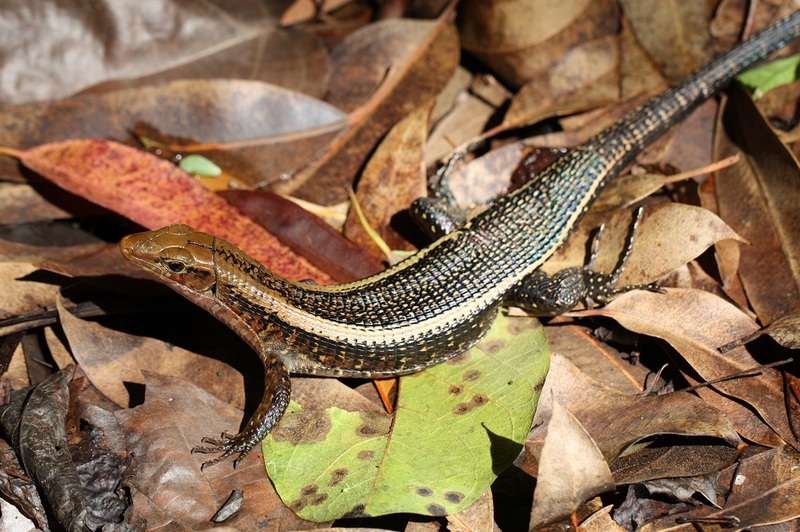 The plated lizards are curious inhabitants of Madagascar’s forests, only Zonosaurus und Tracheloptchyus occur here. You will meet them nearly everywhere, pretty lizards with longitudinal stripes, whizzing quicksilver over the paths. 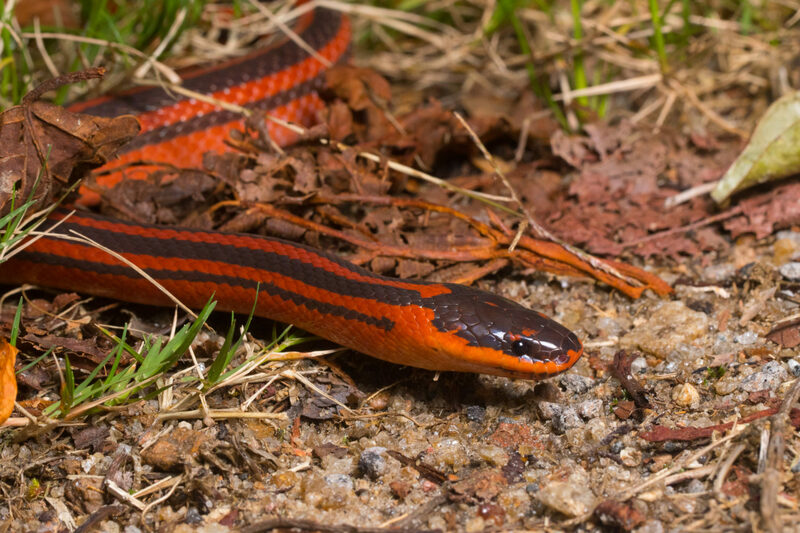 You can easily mistake them for skinks, which have a wide distribution, too. It’s exciting to go on photo hunt for the hard to find (because mostly buried in the earth) skinks of the genus Pseudoacontias, Paracontias and Voeltzkowia. 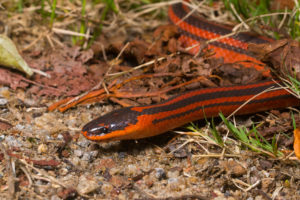 Due to their reduced limbs, they resemble small snakes or worms. Madagascar houses few and relatively small iguana species inside dry forests and savannahs, but those occur only here and therefore build their own genus, the Malagasy iguanas (Oplurus). Among others, the collared iguana (Oplurus cuvieri) belongs to this family, he grows up to 35 cm. In the South of the island, you can find a more remarkable, but smaller species, whose males have a neck shield: The sand iguana (Chalarodon madagascariensis). 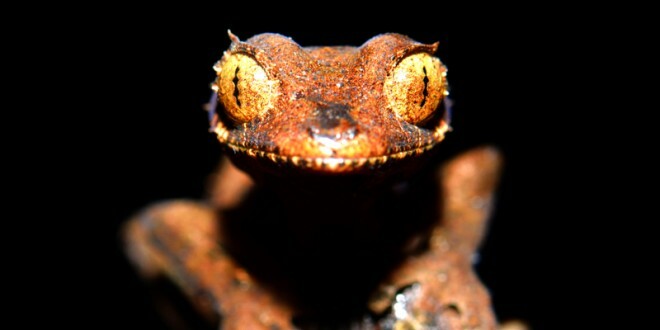 Geckos are everywhere occuring, everyday companions in Madagascar. 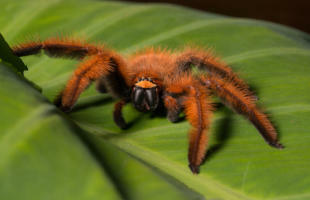 With their lamellae feet they can walk on tree trunks, at house walls and even ceilings. 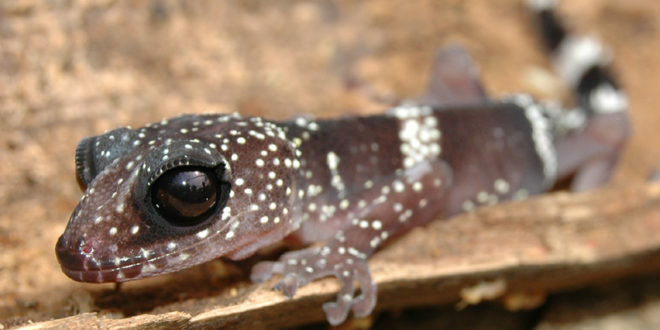 The genus Blaesodactylus and the fish scaled geckos (Geckolepis) live in trees and undergrowth. The fish scale geckos can shed their skin when touched to confuse predators and flee meanwhile. 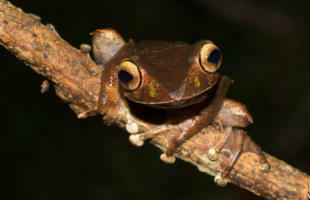 The small Hemidactylus are real globetrotters, which can be found overall on Earth – and of course also find a home in Madagascar. 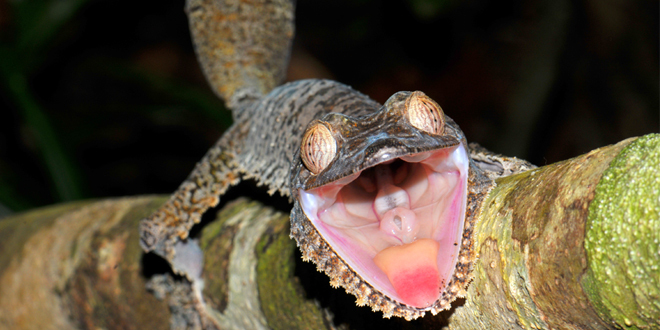 Madagascar is famous for its endemic, nocturnal leaf-tailed geckos (Uroplatus). 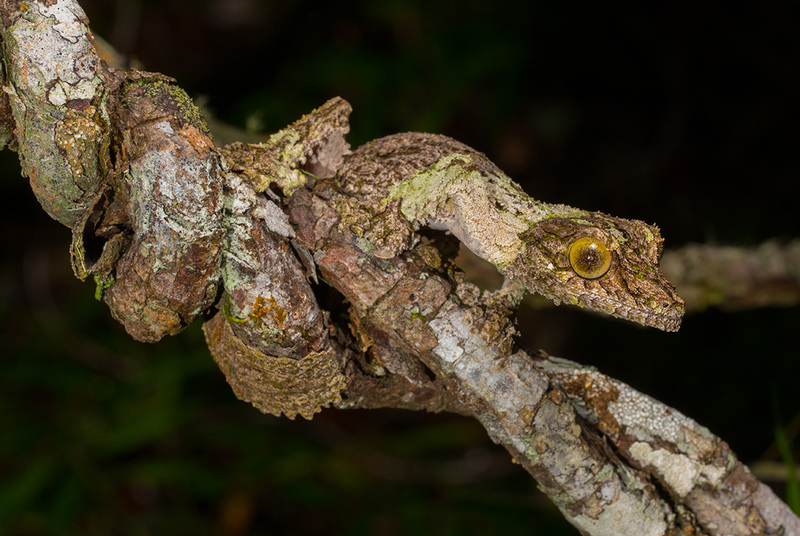 These amazingly camouflage animals hide at tree trunks and branches during daytime, whereby their skin tags dissolve the geckos’ outlines and make it nearly impossible for inexperienced observer to find them. The biggest leaf-tailed gecko is Uroplatus giganteus with an impressing length of 34 cm, but the smaller representatives of the genus, like Uroplatus ebenaui or phantasticus are great to watch. 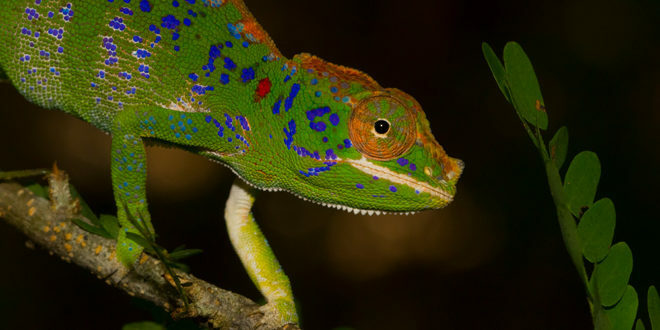 Some kind of famous is also the right term to describe Madagascar’s day geckos ( Phelsuma). 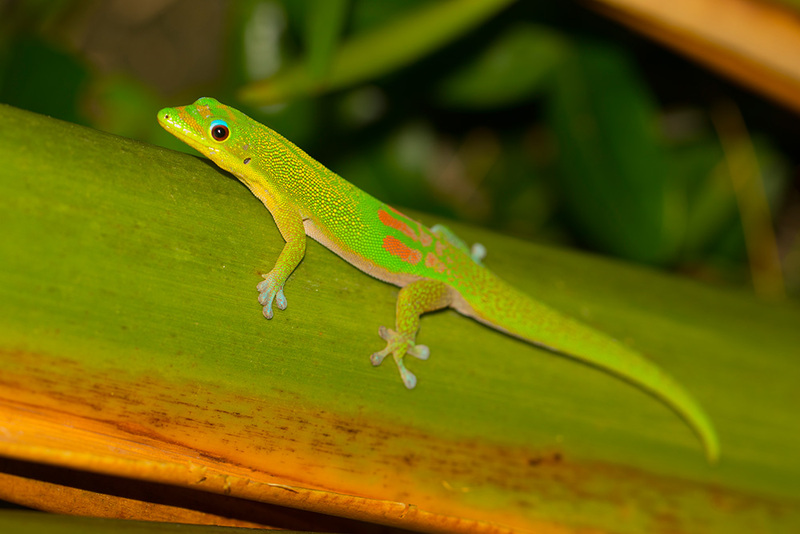 These often bright green exponents like the Giant Day Gecko (Phelsuma grandis) or Standing’s Day Decko (Phelsuma standingi) are common reptiles kept in captivity and in their origin country welcome as fly and mosquito catchers. Smaller day geckos like the bluish shining Klemmer’s Phelsuma klemmeri oder the Golden Dusted Phelsuma laticauda take sunbaths at palm trees and on the wooden stems of bungalows inside humid, warmer regions – and for sure they are beloved photo motifs. 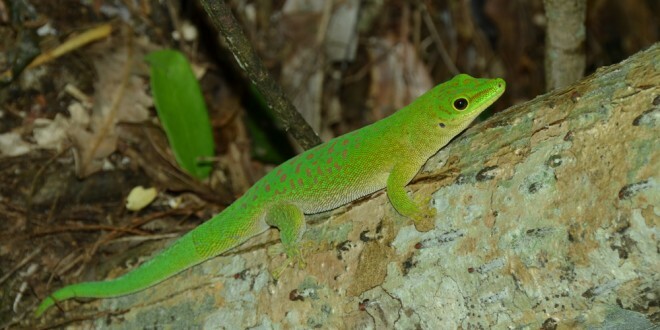 There are also some colourful, nice species of Lygodactylus in Madagascar. Luckily, Madagascar has no dangerous poisonous snakes. Although some colubrids like the Giant Hognose snake (Leioheterodon madagascariensis), got poison teeth in the posterior part of their mouth, their poison’s weak and only dangerous for humans if allergic reactions occured. These beautiful snakes can become relatively big with as much as 1,5 m total length, but avoid to meet travellers on their way. Likewise provided with poisonous teeth, but neither aggressive nor dangerous are the small, quick moving leaf-nosed snake (Langaha). Noone has yet discovered what’s their bizarre nose appendage for. 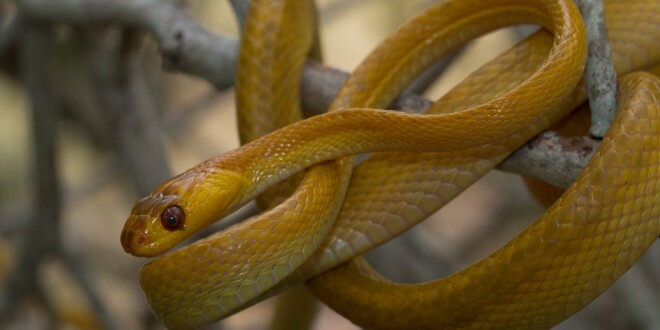 Apart from that, mainly constrictor snakes of the Boidae family live in Madagascar. 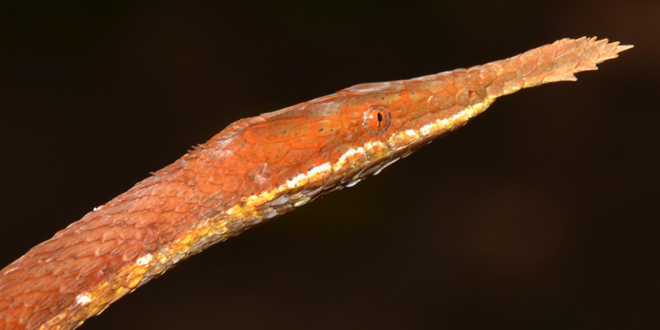 Between branches and under tree trunks, you can find Malagasy tree boas (Sanzinia madagascariensis) or Dumeril’s boas (Acrantophis dumerili), which can become 3,2 m in length. Smaller representants of the legless scaled animals are e.g. Madagascarophis, Stenophis, Ithycyphus, Pseudoxyrhopus and Compsophis. In dryer areas, you can often discover the big.-eyed snake (Mimophis mahfalensis), a small, curious and harmless snake which is easy to take pictures of. Even the biggest, most dangerous and oldest reptiles, the crocodiles, can be found in Madagascar. One single species occurs – mostly hard to discover – inside lakes and rivers of the island: The Nile crocodile (Crocodylus niloticus madagascariensis). With up to six metres length, crocodilians are very impressing animals you should try to get out of the way – corresponding warnng signs have good reasons to stay next to some waters. 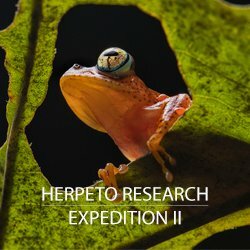 Each year, scientists discover new reptile species in Madagascar and lots of many fascination regions are completely untouched and unexplored yet. Most areas are heavily threatened, may it be by slash-and-burn agriculture decreasing the last green plants, illegal trade for logging of rare, expensive wood or expanding human settlings. The comprehension, that people could earn money with the various and amazing Malagasy fauna by ecotourism and that destroying it also concerns their own base of existence, is still in the early stages of development in many places. 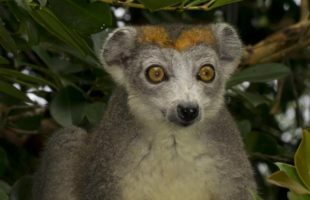 It remains to wait and see, how many endangered species can deal with changing life in Madagascar during the next decades.